This one apple tree in Arkville, Delaware County miraculously is holding onto its leaves & some are even still green as of Tuesday, November 20th. 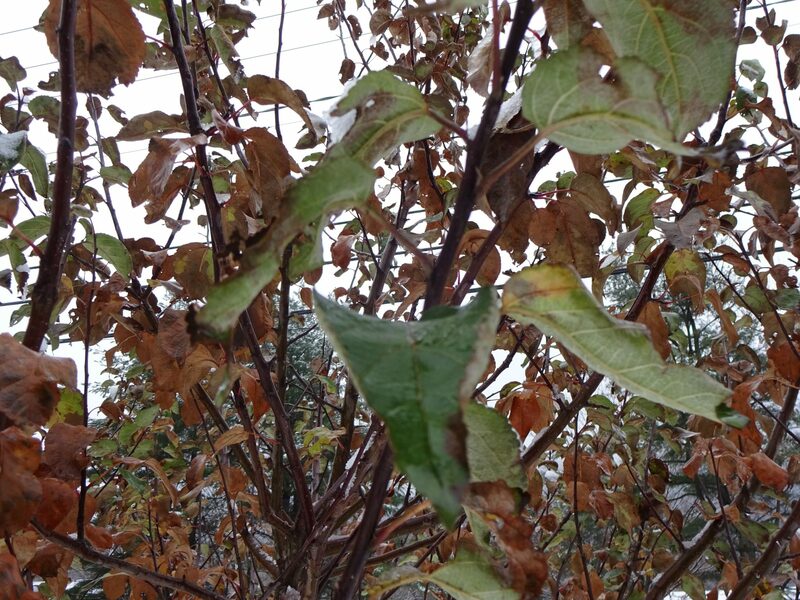 Despite summer’s abundant rainfall & fungi stampede, fall’s wet, windy weather, and winter’s early arrival of snow, this tree’s summer leaves persist. Tags: apple, Catskill Forest Association, Catskill Mountains, green leaves Categories: What's New?